Newcastle City Council used bailiffs to recover John Dobson Street bus lane fines more than 1,000 times in just six months. 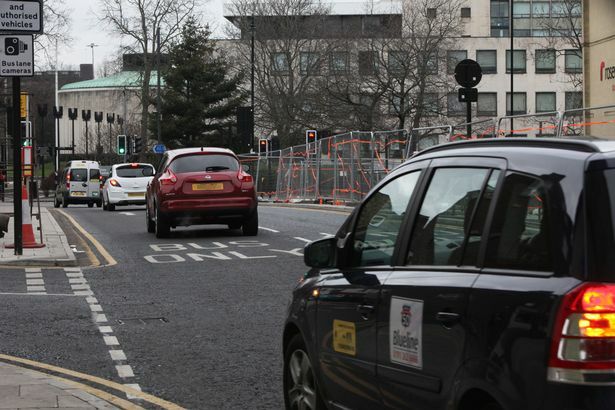 The controversial city centre camera caught out so many drivers it was dubbed the “most prolific in Britain”. As ChronicleLive previously revealed, between February 23 and October 31 2016, 62,975 drivers were snapped, raking in a total of £1.5m for Newcastle City Council. A flurry of appeals led the Traffic Penalty Tribunal to rule that signage leading up to the camera was inadequate, despite technically adhering to Government regulations. Data obtained using Freedom of Information laws has revealed the lengths the council went to recover fines from Newcastle motorists who were stung by the controversial measure. The council referred 1,012 penalty charges to “enforcement agents” in the six month before the council decided to temporarily axe the camera. It was suspended on the northbound lane last June while the council awaits clarity over whether changes need to be made. At the time, a Newcastle City Council spokesperson said: “We have given careful consideration to the adjudicator’s decisions of June 2, 2017 and we feel we need further clarity from the Traffic Penalty Tribunal in relation to our signage. “Previous decisions have found the signage to be adequate and in the most recent cases the adjudicator has acknowledged that it complies with Department for Transport requirements. ​Commenting on the use of bailiffs, a council spokesperson said: “In line with the legislation, the council will use enforcement agents to recover any outstanding debt. “The majority of cases relating to John Dobson Street which were handed to debt recovery in the six months prior to 2 June 2017 will have involved Penalty Charge Notices issued in the preceding six months. “The adjudicator has acknowledged that the bus lane signage on John Dobson Street complies requirements set by the Department for Transport. “However, in making his decisions on 2 June 2017 he also found that the northbound signage gave inadequate warning to drivers that they were approaching the bus lane. “We have asked the Traffic Penalty Tribunal for clarity on this, particularly given that the signage had been found adequate in previous appeal hearings.